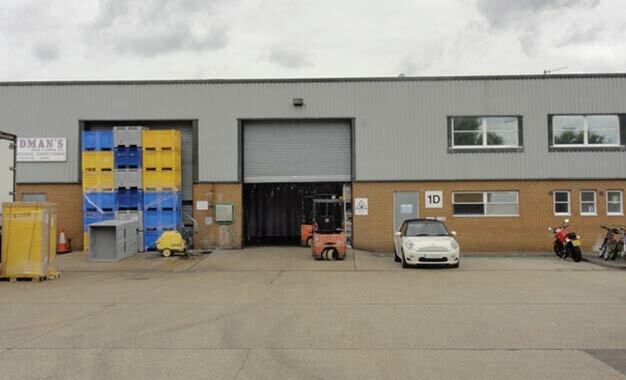 Unit 1D Cathedral Hill Industrial Estate is a purpose built mid terrace industrial/warehouse unit with offices on the first floor to the front elevation. Loading is via a full height roller shutter loading door from the yard/parking area at the front. The property is located on the Cathedral Hill Industrial Estate situated to the north of Guildford Town Centre adjacent to the A3. The Cathedral Hill Industrial Estate is between Guildford Business Park and Guildford Industrial Estate and is accessed directly from the A3 .Wooden Bridge. roundabout. Other occupiers on Cathedral Hill include Graham builders merchants and National vehicle rentals. The premises are held on a 10 years full repairing and insuring lease from June 2015, with a rent review in June 2020 and break option at the end of the 7th year of the term. Unit 1D Cathedral Hill Industrial Estate, Guildford. GU2 7YB.